“The Ford GT is all about performance…” Raj Nair, Ford executive vice president, global product development and chief technical officer. In 2016 development testing, with all contenders track-prepped with new fluids, fresh tires and optimal suspension settings, in identical conditions and with the same driver behind the wheel, the 2017 Ford GT outpaced a McLaren 675LT and a Ferrari 458 Speciale at Calabogie Motorsports Park, which is about an hour west of Ottawa, Ontario. 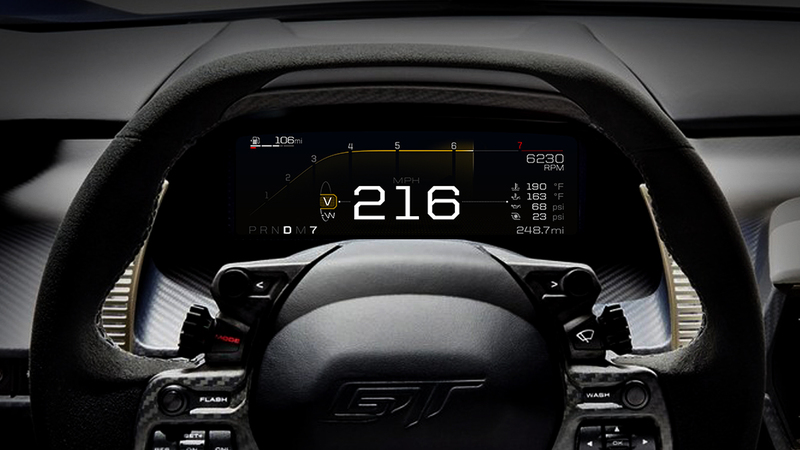 The 2017 Ford GT attained a top speed of 216 mph or 347 km/h, the fastest of any production Ford vehicle! 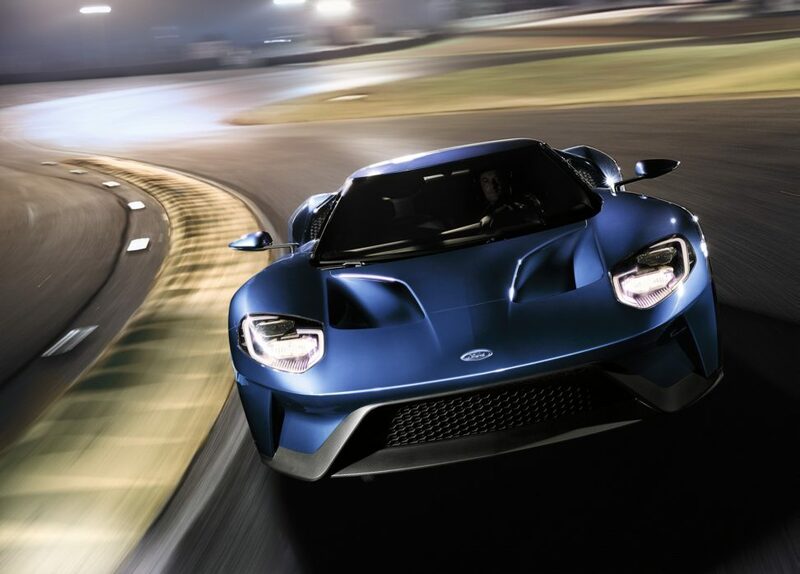 SAE rated at 647 horsepower and 550 lb.-ft. of torque in U.S. specification, Ford’s new high-output 3.5-litre V6 engine produces the highest horsepower of any EcoBoost production engine ever, making Ford GT the fastest production car ever to wear the Blue Oval badge. The engine’s wide powerband produces 90 per cent of its peak torque from 3,500 rpm. Ford GT’s dryweight is less than 1,400kg, which places the supercar between its two primary competitors, the McLaren 675LT and Ferrari 488. Ford GT’s power-to-weight ratio is 2.14 kg per horsepower in U.S. specification. The active dynamic systems – for both suspension and aerodynamics – are designed to make the car perform with optimum downforce, drag and balance at any speed, creating a faster setup regardless of driver skill. Ford GT has proven itself on the race track with class wins at Le Mans and numerous other tracks in both the IMSA and WEC series last season. The production Ford GT shares a great deal with the high-performance track version, with advanced aero and suspension features taking performance to new heights.